The 2015/16 President, a Club Member for several decades, was the first female figurehead in the club's 145-year history. Lady Kingsdown, the wife of former Kent Cricket President and Bank of England governor Lord Kingsdown, said: “I am honoured and delighted by this appointment. Kent Cricket has been an important part of my life ever since I became engaged to my late husband nearly 62 years ago now. “To be President of Kent is the next greatest honour to being given the OBE by the Queen. Never in my wildest dreams could I have imagined that I would hold this post and I will do my utmost to uphold all the fine traditions of the Club at the same time endeavouring to be sure that we move with the times. The mother-of-four lives on the family’s estate near Sittingbourne and is a vice-president of Kent Cricket official charity Demelza Hospice. 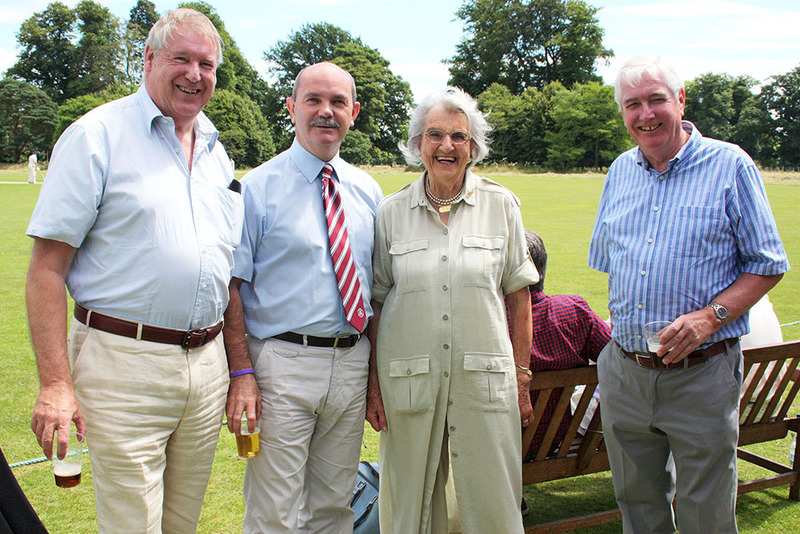 Lady Kingsdown said she was delighted to be able to make the cricket ground on her estate at Torry Hill available for the annual Inter Mark Province Charity Cricket Match. Photographs and a full report of the day's cricket will be added soon.